Balancing Chakras Day 5 - The Throat Chakra - Amphora Aromatics Ltd – Supplier of pure essential oils and aromatherapy Products. We’ve reached part 5 of our 7 part series looking at how essential oils can be used to help balance and maintain our chakras. 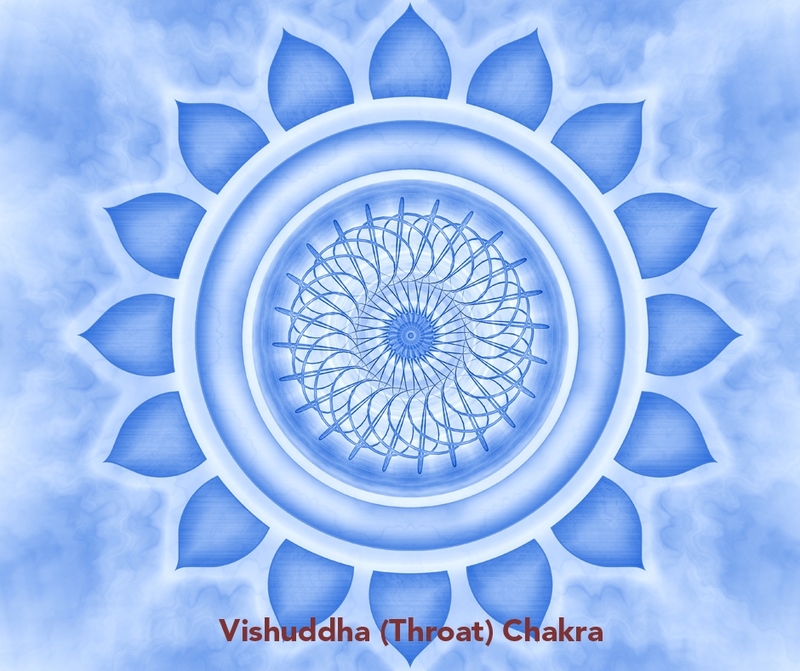 Today we look at the Throat Chakra – click to read more. The roots of the chakra system lie in ancient Hindu texts of knowledge. Translated into English, chakra literally means ‘wheel’ or ‘wheel of life’. Some say it is a reflection of the unified consciousness of humanity. Our chakras consist of seven centres of life force energy, each of which are thought to play a part in the health of our mind, body and spirit. Various methods of meditation and yoga are employed to help people open and balance their chakras and it’s here where pure essential oils can be used to assist the practice. Before you balance any other chakras it’s imperative to ensure that your 1st chakra is fully aligned. Check out my previous blog to learn more about this. The throat chakra is centred around how we communicate and project ourselves out to the world. Having a well-balanced throat chakra can give us the ability to articulate ourselves effectively. It also affects the way in which we listen to others and how we put across our thoughts and ideas through both body language and verbal communication. When our throat chakra is off balance we may find difficulty in expressing themselves and in opening up to others. 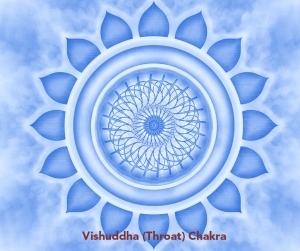 Those with an over active throat chakra may come across as being over critical of others and potentially not open to listening to others (interrupting conversations and talking over others). Those of us whose throat chakra is underactive may find it difficult to express ourselves which can lead others to misinterpret you. Physical symptoms which may arise if the throat chakra is off balance include a sore throat, sinus infections, stress, stiffness in the neck and problems with the jaw. Judging from this, it could be that essential oils which can offer assistance to balancing this chakra include those that help us feel at ease with ourselves and others while helping us to express ourselves creatively and personally. It also involves essential oils which can help heal physical symptoms that affect the throat. Aromatherapy can be particularly helpful in treating the core of most issues – stress. Ylang Ylang – this essential oil is a firm favourite when it comes to managing stress and anxiety. This is likely due to its supposed ability to help slow down our heart rate and breathing. Ylang Ylang is thus a useful oil for when someone is in a state of shock or if you’re having trouble getting to sleep. It is also useful in promoting feelings of happiness and positive thoughts which can be useful for those with both overactive and underactive throat chakras. Eucalyptus – this essential oil is perfect for treating physical symptoms which may arise through an unbalanced throat chakra. It is a powerful oil to help boost our immune systems and is one of the most useful to have around when struck by a cold and sore throat. Its decongestive properties will help clear your airways whilst its fresh camphoraceous aroma helps to promote clarity for the mind. Myrrh – when vaporised, myrrh essential oil can offer treatment for physical symptoms of an unbalanced throat chakra such as colds, flu and sore throats. On a spiritual level, Myrrh essential oil can help us to be more accepting of ourselves and others making. You can dilute one or a blend of these oils and gently massage over the throat area if you feel this chakra is in need of some healing. For massage, aim for a 3% dilution – 3 drops of essential oil for every 5ml of carrier / base oil. 3 drops Juniperberry, 2 drops Ylang Ylang, 1 drop of Eucalyptus. Thank you for reading and I hope you’re enjoying this series on using essential oils to assist with balancing the chakras. You can see the other blogs in this series and all of our other blogs covering many different aspects of natural skincare and aromatherapy by clicking here.